The crypto realm is more robust than ever, with innovative blockchain projects springing up for every conceivable service. In such a saturated market, it can be hard to sift through the chaff to pick out one or two solid ICOs that you want to focus on. So we’ve done the work for you: in no particular order, here are 5 ICOs we’re particularly excited about that launch in the upcoming months. ApolloChain is a startup that’s taking the decentralizing power of blockchain and applying it to a field badly in need of it: the energy industry. In a push to harness the global trend towards renewable energy, ApolloChain provides a business model where energy consumers can access a power grid built on the blockchain, and they can opt to buy their electricity straight from the source, no third parties needed. A 3-tier system involving smart contracts and a P2P system will prevent any one centralized power from gaining too much authority. This will result in a more efficient, low-cost transmission of energy for all parties involved: suppliers will have lower financing costs and consumers will have access to cheaper energy. 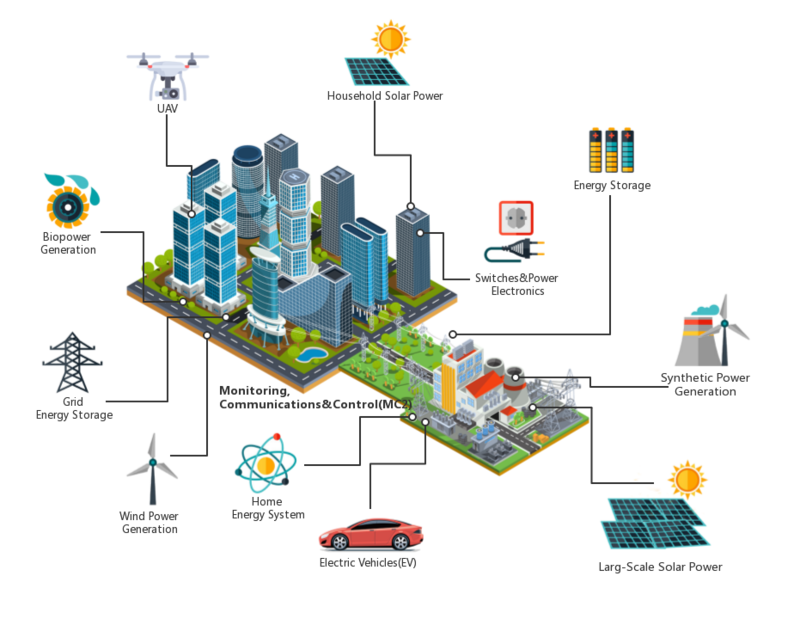 The decentralized power grid will also solve the problem of power loss during long-distance transmission and rectify power outages more quickly. ApolloChain’s innovative use of smart meters will allow families to break down their energy use and budget more effectively. And on top of all that, given the option to choose what source their power comes from, most consumers will likely go towards greener, more ethical sources, spurring on the move away from coal-based electricity. The ApolloChain ICO will be live in July but their pre-ICO sale is now open for crypto investors who want to get in at the basement level. 3,300,000 ApolloChain tokens (APL) will be released in the pre-ICO, which will end June 15, 2018. Early buyers enjoy a 40% discount by buying APL at the price of 33,000 APL for 1 BTC, or 2,300 APL for 1 ETH. Visit their website to learn more about the ICO and participate in the sale. Cloud storage is a key resource for anyone who works with computers. However, with cybercriminals becoming more and more resourceful, our stored data may be far less secure than we realize. Cryptyk is a hybrid blockchain solution that addresses the problems in cyber security solutions across two different platforms: cloud storage and blockchain auditing. Their method of combating hacking is as ingenious as it is simple: figuring the hackers are going to break through security defences anyway, Cryptyk’s VAULT capability divides uploaded files into 5 encrypted pieces, each of which is stored on a different cloud database. The encryption keys stay in the user’s possession on their smart devices. Essentially, if a hacker does breach a certain storage database, all they’ll be left with is a single piece of the puzzle that they can’t do anything with. Then, Cryptyk’s SENTRY capability tracks and audits access of files from authorized users, heading off internal threats. The Cryptyk token presale is currently ongoing, with a 20% discount rate on tokens, until July 6, 2018. The minimum purchase requirement is US$5,000 worth of CTK, with extra bonuses for purchases in excess of US$50,000. If you don’t have US$5,000 in your budget but still would like to invest, Cryptyk offers a bounty program where you can earn rewards in token form. Do note that buyers in the US and Canada must be KYC-verified, and there is a 1-year vesting period. This sale is not open to buyers in China or Brazil. One of the driving ideals behind blockchain technology is the democratization of the financial world. However, the cryptocurrency revolution thus far has been driven largely by the people at the front of the tech learning curve. CryptoCurve, built on the Wanchain blockchain, is making a move to change all that, with a user-friendly mobile app that eases new users into the world of crypto trading. 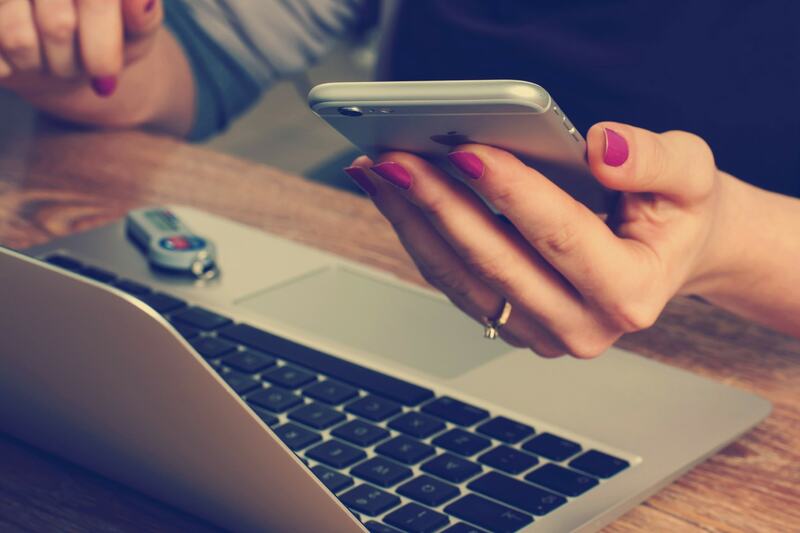 With an intuitive interface and various different functions, the Curve Wallet makes it easy to perform basic investment functions – buy, sell, and transfer – as well as a few more advanced functions. A few intriguing capabilities they offer include the option to “Nuke” your portfolio, i.e. instantly convert all of your altcoins into ETH or BTC, and then convert back while retaining all your profits. For those of us still overwhelmed by trying to keep track of different coins, this provides an option to be more active with our investing, and move out of our “hodl” comfort zone. 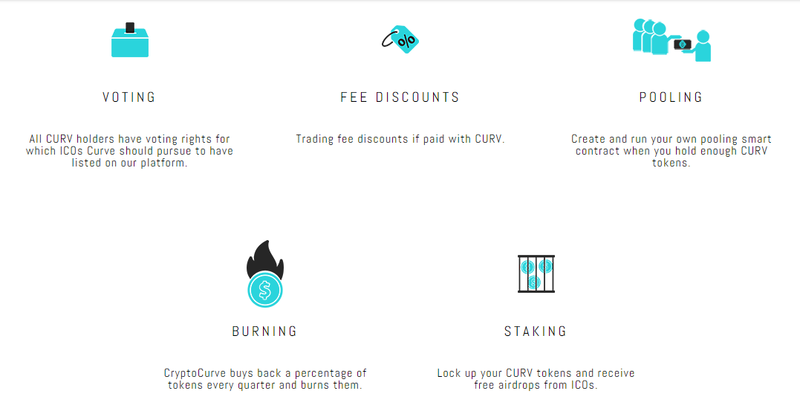 The Curve Wallet also offers ICO investing, pooling, and staking help, as well as interactive portfolio tracking. The token sale for CryptoCurve kicks off in May (a specific date has not been set yet), where a total of 415 million CURV tokens will be sold at a value of US$0.20 each. Since CryptoCurve is built on the Wanchain blockchain, they can only be purchased with WAN. In the age of fake news, the repeal of net neutrality, and the looming threat of censorship of the press, it’s clear there is a pressing need for a neutral, objective media source. Decentralized News Network (DNN) steps up to this task, applying the trustless nature of blockchain to news and journalism. On their network, all news content will be vetted by its community of readers, writers, and reviewers. Journalists will then be rewarded with tokens in accordance with the accuracy of their articles. All content published on DNN is stored permanently on the Ethereum blockchain, making it impossible for authorities to censor. Cutting out the need for advertisers, who can threaten the impartiality of news stories, the DNN ecosystem is powered by the exchange of the DNN token to incentivize readers, writers, reviewers, and publishers to create and boost strong and accurate content. DNN is currently in its alpha testnet phase, with beta due to be released in Q4 2018. Having hit every prior milestone in their roadmap, DNN has been gathering a lot of publicity from mainstream news outlets, including Forbes and Bloomberg. So if you’re looking for an ICO to invest in that is likely to become a big thing while combatting censorship and misleading news, DNN may be for you. The DNN presale is currently underway, with the ICO scheduled to begin on June 1, 2018. In order to participate in their public token sale, you will have to get whitelisted. One of blockchain’s chief drawbacks is its scalability issue, which developers have been racking their brains to provide a solution for. One P2P network that has been gaining a lot of hype, with its lofty aim of achieving millions of transactions per second, is QuarkChain (QKC). It intends to achieve this through sharding, with the capability for cross-shard transactions. If they achieve this goal, they would surpass even Visa in data processing capacity. 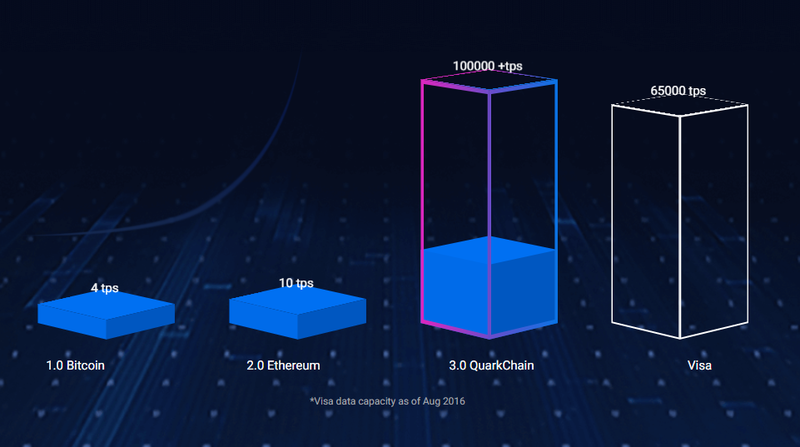 With its 2-layer structure, QuarkChain allows for collaborative mining, in which small, individual miners are able to participate without joining large mining pools. In addition to encouraging small miners, it also allows for horizontal scaling, empowering small nodes by allowing them to join into clusters, which can then function as full nodes. This results in greater decentralization of the network, providing competition and balance for large nodes. This decentralized nature makes for heightened security for transactions on QuarkChain, with less risk for double-spending attacks. QuarkChain’s scalability, while still maintaining decentralization and security, is what makes it different from other blockchain scalability solutions out there. Once fully functional, QuarkChain intends to support a vast ecosystem of dapps, particularly those that require high transaction rates, such as advertising, IoT, big data, AI, gaming, P2P transactions, and more. Due to the enormous amount of interest in QuarkChain from investors and the limited tokens available in their ICO, QuarkChain is employing a comprehensive KYC process before allowing interested parties to be eligible to participate in their token sale. In order to participate in the KYC process, you must first join QuarkChain’s Telegram group. More details on their KYC process can be found here. The deadline for the KYC process is May 20, 2018, 11:59:59AM PST. The token sale is scheduled to open in late May/early June. Are there any other ICOs we should keep our eye on? Do you have a hot tip for something new and exciting coming up in the next 2 months? Let us know in the comments! Anna is a digital nomad, currently living in Ireland, who enjoys tea, books, and knitting. She is very excited about the potential blockchain and cryptocurrencies have to change the world and everything in it.